Dance, Drama, Music and Visual Arts. Support The Arts in Action at MMHS & Mr. Hillands final MMHS performance. May 6-10, it's Arts Mind, a series of daily lunchtime activities, performances and workshops, in conjunction with Canadian Mental Health Awareness Week. Painting music, flash mobs, bubble art and ensembles are all typical parts of the roster, plus more. This year, we will also have a live theatrical performance in the center of the atrium. It all wraps up with Art Alive! !, the Paint 'Battle' and over 25 participants registered to face the creative challenge. Check the schedule in the showcase for details. Engaging with art supports well being. Our doctors can now offer prescriptions for art shows and performances as a means to foster well being and connection. Whether an audience member or participant, art is good for you... for health, for skills, building meaning and community. Join us in creativity and sharing. INNER LANDSCAPES - This Year, Arts Mind has a thematic focus. MMHS Drama has initiated the direction through a collaboration with Tarragon Theatre and U of T,​ Scarborough and we are inspired to join them on the journey. Within this theme, we consider our personal interior landscapes, collective landscapes and the impact of historical and contemprary actions on individuals, groups, communities and The Land. The Collaboration extends into the relationship of image, word and interaction with the Inaugural edition of ARTS MIND, The 'ZINE, added to the Arts Mind roster. Creative, mindful activities designed by MMHS students will be interspersed with original poems and imagery. Every book will be different and personal, because the 'reader' is also a creator. See Ms Coleman and Joyce Z. for details. Don't forget... Arts Battle/the Paint Challenge will return... full force, in landscape theme, in the atrium .. May 10th, with Frederica and Kabilash as Masters of Ceremony, a solid soundtrack and a ticking clock. Our participation list is open until April 25th. See an art teacher to be included. Students & staff are welcome. Arts Mind for Whole Health Awareness, In Conjunction with Canadian Mental Health Week - May 6-10. At the end of February, Students from across York Region will engage Skills Challenge, hosted by Seneca College. Heidi was nominated by her the photography crew to represent Milliken Mills HS and YRDSB in Photo Category. Heidi and our other photographers have grown accustomed to discovering and developing and refining photographic works independently. Students in the event, will respond to a predetermined, but, as of yet, undisclosed photo challenge and respond within time and location parameters. It will be interesting to see what unfolds.... no pressure... just exploration. Heidi's tritych requirement for the challnge is shown below. She will be combine this and other works together to curate and model a personal show within our Arts Mind/Arts Knight spring show, beginning May 1st (particularly helpful to students considerign th IB Visual Arts Programme). ​​​On February 13th, Gallery 44 Centre for Contemporary Photography held the opening for their annual CameraLinks thematic exhibit, Looking Forward. Photographs by MMHS students are presented within a feature wall arrangement and in a customized digital display. The gallery welcomes visitors to view these and other diverse works included in Looking Forward. The Show runs through to February 23rd, (excluding Sunday), at 401 Richmond Street West (at Spadina), in the heart of the gallery district. Through our Visual Arts Ventures Network, we actively seek to connect our students to a range of meaningful opportunities and experiences. MMHS has a rich history of showing art within GTA galleries and our community. Gallery 44 is one of a just a few photo focused galleries in the GTA. It has a special mandate to promote photography education in traditional and contemporary approaches. As part of our approach to Equity, all of our students are offered an opportunity to refine a related project for showing and engage with the documentation and preparation of works for display as part of design 'delivery', and an aspect of Visual Arts curriculum. This year, digital prints from AWD3M1 Visual Design, AVI4M1 Visual Arts and independent students (Middleton), plus a framed projection sequence from AWQ3M1 (Kong) will be featured. Several of our MMHS Visual Arts Photography and Design students were invited to show collaborative Photographs at the Markham African Caribbean Canadian Association &City of Markham Black History Recognition Ceremony on Wednesday January 3rd at Markham Flato Theatre and the Civic Centre's Great Hall. Since the event was STEAM based (with a focus on science, technology, engineering, art and math), the organizers were particularly interested in the technical motion studies from our Gr. 11 Photography course, influenced by groundbreaking electrical engineering studies at MIT (with related application to scientific, sports, advertising, news. and fine art photography). Students were asked to present large scale prints and a slide show, with Daniel taking the lead to speak on the intersection of Art & Science in their Photographic work. Physics, Chemistry, Math, Technologies, Engineering of photographic devices and scenarios are all a part of full-spectrum study of Photography at MMHS. (We don't just point and shoot). The group presenting work on the theatre screen included Daniel, Usman, Sheraz and Aditya, with additional print design and portrait works by Safia with Taylor (on display until the end of the week). Students had an opportunity to meet and interact with community leaders and the mayor while communicating the value of personal collaborations and mindful creative engagement through Photography. That's what Visual Arts Ventures Networking is all about. BLACK ART & CULTURE - IN SCHOOL - During February, visit our display board, featuring an array of works by Black artist/innovators and help create the Roots & Rhythms Glass Mural as we take Visual Arts Discovery, to the Library and Maker Space. Discover rich traditional patterns from Black cultures around the globe and add your own colours and shapes to the mural concept, designed by award winning ​MMHS student, Shamar. Extend the inquiry and use the library resources for further inquiry into traditional and contemporary art, artists and culture. All staff and students are welcome in this collaboration between Alternative Education TEAM, Maker Space, Library Learning Commons and Visual Arts. Every year, we venture out, extending student creative expression into the community. In September, it was an installation at Markham Fair, featuring multiple students (see the blog post, below)... in November, the Provincial​ OSSTF Finals, in January, the Civic Centre and Markham Flato Theatre and, in February, we engage​ Gallery 44 and York Region Skills Challenge. Some of our student work is on permanent community display, with two trios of MMHS Visual Arts students completing large commissioned paintings at the Milliken Mills Community Center and Library, each related to Equity and Wellness. Spring marks the Arrival of Arts Knight and Arts Mind as Our students experience their art related to community, connection and opportunity. Gallery 44 is located in the 401 Richmond Street, Building at the south east corner of Richmond and Spadina. The photographs will be on display from February 13-24, with an opening reception of February 13th as part of CameraLinks, LOOKING FORWARD. It's freshly 2019, with Lunar New Year and semester 2 approaching. All that, tends to make us look back on what we have done and DEFINE, directions moving forward. It has been a semester filled with coll​abor​ations. People drop by daily for support with individual and classroom projects, research questions, admissions portfolio & essays, contest refinements, visual resumes.... it's ongoing and only growing with the increased visibility and use of art & design in the modern marketplace. Connection is a vital part of the Visual Arts Department. So, we are enacting the title, Visual Arts Ventures Network, as an umbrella, for the array of initiatives that we support outside of the classroom - in which students, school and community partner together through common creative purpose. Networking, is more than adding names to a social media list. It is timely communication and collaboration in action, defining clear goals and developing action steps to creatively manifest them. See our OPPORTUNITIES PAGE to find out more and see the results of Visual Arts venture networking​ throughout our pages. Arts Club, too, is trying on a new name, better associated with the unique goal of our weekly mindful creative gathering, to differentiate it from our service and product based efforts. Arts Club has been around for 30 years and for the last 15, the focus has been on mindful, sustainable creative explorations, offered during lunch, open to all students and staff. To reflect this, Arts Club is becoming VISUAL ARTS DISCOVERY. Discovery is a design industry term, often used to describe the open-ended, exploratory stage of the creative process. VISUAL ARTS DISCOVERY, it's about possibility, pressure-free personal exploration and creative play; it's discovering about self and other, through creativity... no pressure, just exploration. DISCOVERY uses readily available sustainable materials, suitable to the time frame and all levels of experience. DISCOVERY is open to all students and staff and our offerings will be announced and posted to insure equal access. When students explore creativity and personal meaning, utilizing their skills and gifts.... projects align with purpose. Such is the case with Madeline, who has been developing a character and cover design as part of a Gr. 9 culminating assignment which seems, naturally aligned to current issues and the Mandate of Green Inc./Eco Schools ... and, in just a few moments, and some effective communication... an alliance was formed (and, the concept of VISUAL ARTS VENTURES, opportunity matching focus, (see OPPORTUNITIES PAGE), again, made sense ). Part of our Role in Visual Arts is to recognize and foster creative alignments, linking individual, community and real-world experience - expanding resumes, portfolios, messages and connections. Fostering collaborative relationships and an awareness, helps us all. With creative work like Madeline's, the concept of VISUAL ARTS VENTURES (see our OPPORTUNITIES & DIRECTIONS PAGE) began to make even more sense. Madeline has been taking control of the project and her vision, consulting and discussing the possibility of a storyline involving polarized possible futures. Immediately, she began to consider adapting the story scenario and design detail to best suit the opportunity & Eco mandate, through a positive tone. She has embraced the opportunity, considering an ongoing multi-year initiative, across her time at MMHS, with a role to match her interests and inclinations. Wow. in action for our collective future and potential personal futures and possibilities. Everybody has been admiring Naomi's recently completed dragonfly, an acrylic painting on wood panel. People and groups have asked to have it, others have just come to visit dragonfly. This happens sometimes. Our students apply themselves within the project process, resulting in refined, viable and meaningful creative products. At MMHS, we match work to purpose, we don't give it away. In the digital age, students can retain their original copy and still offer their work for meaningful purpose... and what better purpose than habitat and biodiversity preservation. Naomi immediately offered her image and support to GREEN INC and other artists and their subject creatures signed on as well. The project itself is designed for awareness and connection, through Naturalistic study. The art class became more connected to their bugs, insects and the rest, and we started to discuss when we last saw a 'Praying Mantis' and other species subjects that the students had chosen to depict. It caused us to consider the reduction in local species numbers and diversity, across the globe. The resulting art, considers the detail and beauty of each species and will be used to bring this awareness to others. The 'fade' technique contributes the visual emphasis and furthers the message that our biodiversity is disappearing. Green Inc Design Duo, Dylan and Vivian, are integrating the images into promotion/educational posters. Alternative Education's TEAM generated the slogans, related to bio diversity. Watch for the unveiling, within Green Inc initiatives. Congratulations Heidi. Heidi's interests in Arts organizations, art history and curatorial concepts lead to a Visual Arts Ventures match with York Region Arts Council. She used the creative process to DISCOVER the mandate and role of the organization and learn about the application process for YRAC Youth Committee and DEFINED a council suitable role related requirements and deadlines. She DEVELOPED solid integrated visual resume, personal logo, cover letter and updated her on-line portfolio, consulted around refinements and DELIVERED her pitch in a council interview. 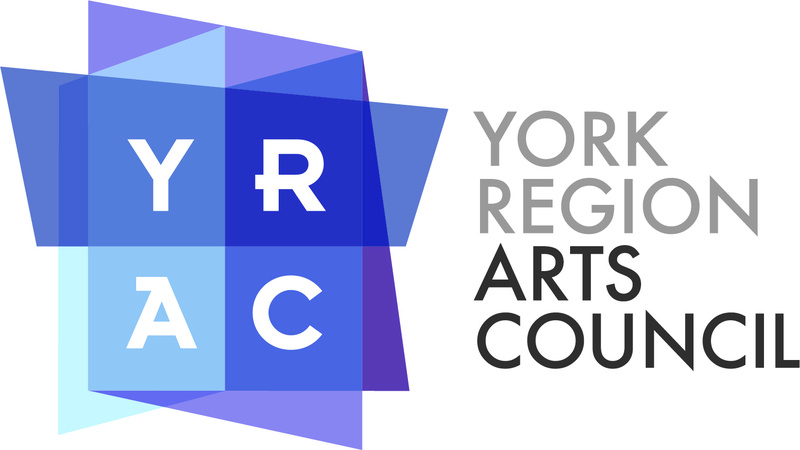 Heidi is now a member of the YORK REGION YOUTH ARTS COUNCIL executive, a great learning experience, networking opportunity and addition to resume. She can continue in this role during her post-secondary education and move on to other roles within this and other related organization. In her role, can represent the interests of Milliken Mills and Markham alongside personal interests, a step forward into inter-relating benefit. In MMHS Visual Arts we strive to prepare students for opportunity with projects that build personal visual identity and experience, and skills, while offering ongoing support outside of classtime. Opportunity awaits. Starting early builds awareness, confidence and possibility. Gr. 11 students created a winter design and fundraising experience, with the Guidance of Ms. Ng. The extracurricular venture was a great learning opportunity around the preferences of a target audience and market, materials costs, fundraising protocols, advance orders and direct deliver systems. Proceeds (after costs) will go to BEST BUDDIES, an MMHS fundraising focus. Cards were designed By Teressa, Dylan and others, with a group approach to sales and delivery. Students often design occasion cards logos, and other marketable items as part of the independent inquiry component within our courses. Seeing their designs in action, re-enforces the real world applications of art and design. This venture may become an annual tradition, with cards celebrating our array of winter festivals, including Diwali, Lunar New year, Hanukka, Kwanza and more. Design class, AWD3M1 (Middleton) was also in mode, adapting a course project on mental health awareness into a winter holiday greeting, suitable to varied cultural traditions, while acknowledging that both the holiday season ​and winter can be a particular challenge, with a call to mindful within the season. The image acts as both an e-greeting and print postcard, that can be kept as a reminder throughout the year. Our featured image was created by Emily and model (using paper theatrical design, lighting and digital photography with Photoshop). Remember the YRDSB annual calendar features art depicting the meaningful nature of all cultural celebrations and any student can enter to have work included. The deadline to enter your work if February 22, 2019. See an art teacher for details. As always, we encourage our students to pursue creative opportunities and provide in- house postings, details and ongoing support. This Year, Dylan's artwork, Hands of Time, has been selected from all York Region Senior Visual Arts entries, to represent OSSTF District 16, at the Provincial final. Dylan extended the components of his drawing project in AVI3M1(Ng), into a personal statement and challenge, related to the contest theme, spending many independent hours fine honing his pencil and pencil crayon techniques towards magical naturalism. This year's theme, Ahead by a Century, is a challenging one, designed to foster inquiry around whether collective and human actions, in recent decades, can be considered more as advancement or detriment to our world. Dylan's artwork is full of rich nature symbolism, a fitting match to the theme, like paintings by the Baroque Vanitas masters, visited in AVI3M1 curriculum. This Year, MMHSVA will support the traditional MMHS table space, honouring and including the 14 women engineering students of Ecole Polytechnique with an atrium display featuring powerful works created by Heidi with Naomi, Safia with Taylor, Tracy with Kitty and Grace ​with Lee. These images arrive at a pivotal time, alongside the expansion of the Me Too phenomena and other human rights initiatives. (They also act as a preview to our related work with Looking Forward in February and Arts Mind in May.) Elizabeth Z serves as curator/prop & lighting designer for the exhibit, with poetry and content support from Joyce Z and the AVI4M1 group​ and research by Mona. Thank you to each additional student who created sculpted paper flowers to honour the women of Ecole Polytechnique and all those taken by gender based violence. Part of our mandate is producing meaningful art, developing skills of art presentation and collaboration, engaging social cause and community. Visit the showcase to view the works. and demonstrates the continued role and value of film, darkroom and hand rendered work in, and beyond, the art community. Aditya's image was one of several of his portraits that were on display at Gallery 44. His work was chosen from all school submissions and is the only student work featured on the gallery site. The image will be used to promote this year's CAMERALINKS show and remain on the Gallery site for an extended period, (an excellent addition to any resume). This semester, Design, Photography and Visual Arts students will all be creating, preparing and showcasing images for a professional gallery environment. Part of out mandate is to connect students with opportunities, experiences, community and creative networks, building resumes, awareness and confidence. new year, new theme, new team, 30th anniversary! This Year, MMHS Visual Arts and Co-Operative Education Departments collaborated on an Art Installation in support of Markham Stouffville Hospital. The project became an opportunity for us to engage and create between departments and with our community as well as explore career areas involving curation, display construction, transport ​and assembly. The interdisciplinary artwork featured the work of multiple students, including a collaborative feature piece from our special needs class who visited the fair and saw their artistic expression on display, alongside the work of other community artists. MARKAM FAIR ... next year ... the 175th anniversary! ART DISCOVERY is an open, creative activity and space vs. a closed club, name roster or hierarchy. All are welcome to participate in Art Discovery activities which will posted and announced to insure equal access. DISCOVERY uses readily available, low cost, environmentally friendly materials in creative ways. Our Visual Arts experiences are open to all students and staff. ​OPEN STUDIO is ongoing independent access to the Visual Arts studio spaces (130, 132, 242A photo studio and darkroom) by arrangement. A supervising teacher volunteer is required for you to access a studio. Consultation is also available and recommended. See a teacher for supervision availability. Open studio is guaranteed one day per week, but often is available more frequently. At MMHS, we match students to opportunity, in the projects and opportunities that we create within the department, often in alignment with community initiatives and needs. We strive for real world connections and experience and relevance which further builds portfolios, resumes and leads to other opportunity in an ongoign cycle of creative manifestation.